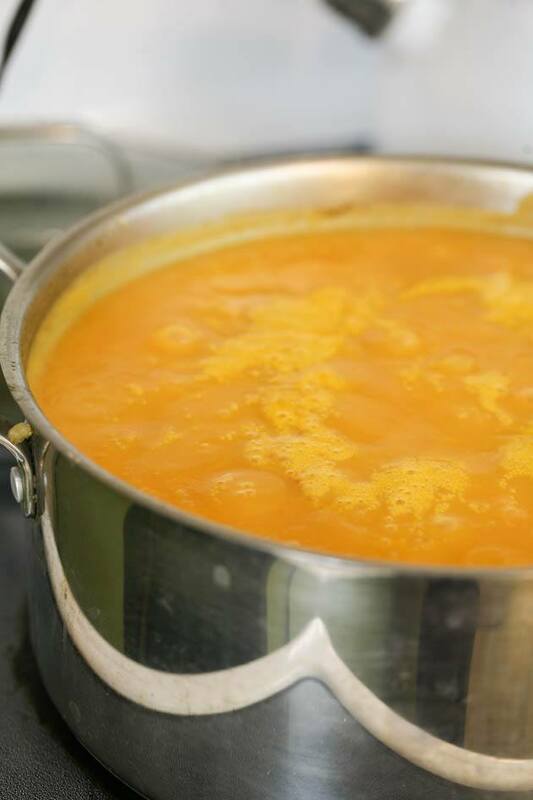 Here is a delicious pumpkin soup that I made from the canned pumpkin that I canned earlier this season. It’s super healthy and simple to put together. 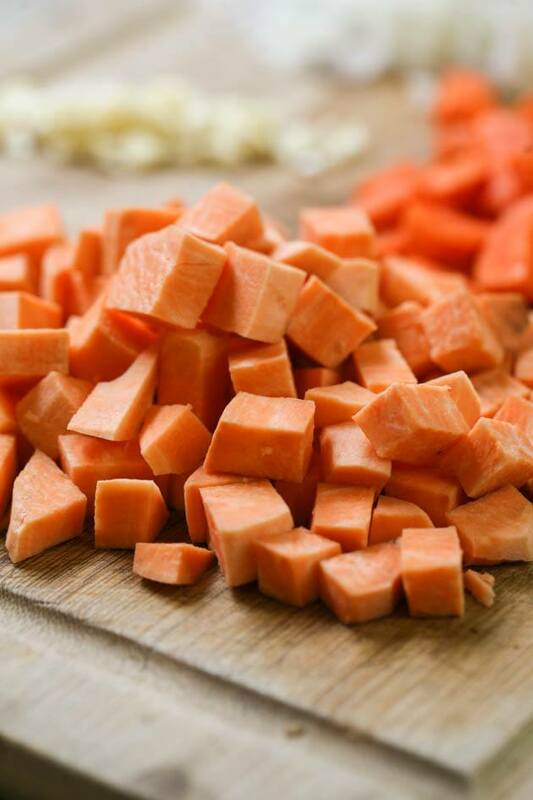 It has carrots and sweet potato in it too which makes it very rich and creamy. I also made simple garlic croutons to go with it. It’s a filling, delicious meal for those cold nights! Here in NC, I divide the year into two parts. Spring and summer are all about the garden. 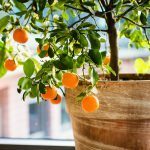 I try to grow as much food as I can so there is not much time for anything else. 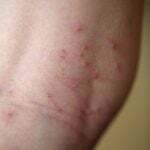 For most people, especially if you live in cold climates where it snows, fall and winter are relaxing time. I get it. Summer is so busy on the homestead that we all definitely need some relaxing time. But here in the South, I take advantage of the cooler weather and usually spend the fall and winter fixing and building new things around the homestead. I don’t need so much relaxing time. We usually still have a couple of snow storms and a few weeks of rain and mud which doesn’t allow you to do much outside. But if it’s dry and sunny and cool I usually try to build something. This year, I am working on a new garden in front of my house and a smoker (and I always have deer hides to tan which take a lot of time). However, in the past couple of weeks, it has been extremely wet and cold around here. We actually got our first frost a month early this year! 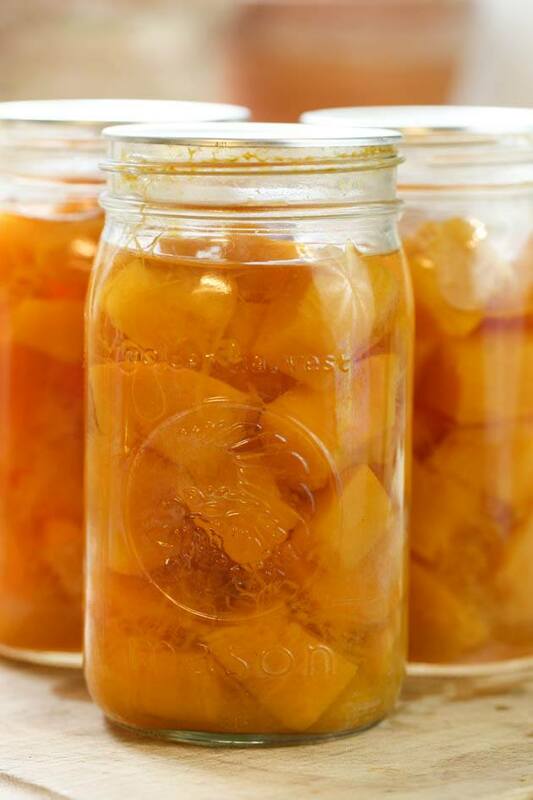 There wasn’t much opportunity to do anything outside so I took the time to do some canning (here are my candied oranges and my canned pumpkin), clean up the house a little bit and also get squared on the kids homeschooling stuff. And of course, it was time to start making some soups. 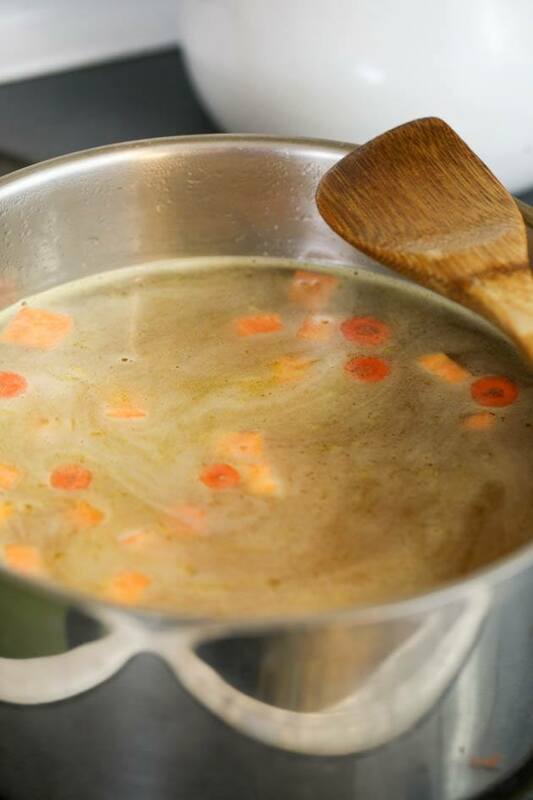 There is just something about a pot of soup on the stove… It’s kinda like a loaf of bread in the oven. The house can be all messy, the kids can go wild, the laundry can keep piling up — things that would usually drive you nuts — just slide by and you get that feeling of coziness and warmth. I used the canned pumpkin that I canned earlier this fall. 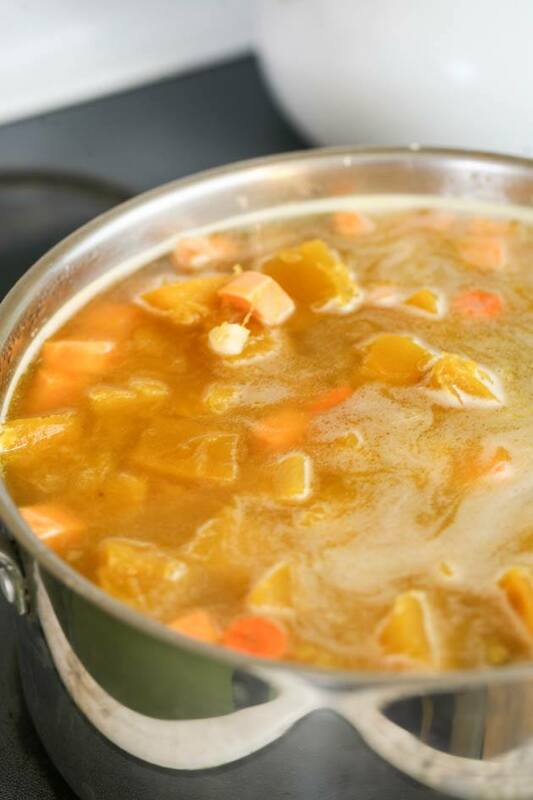 I loved that it was already ready to go and I didn’t need to wrestle a pumpkin but if you don’t have canned pumpkin you can make this same soup with fresh, peeled, and cubed pumpkin. I used three quart-jars of canned pumpkin. Each jar has between two to three cups of pumpkin. I set those out on the counter so they are ready to go. Peeled and diced as well. 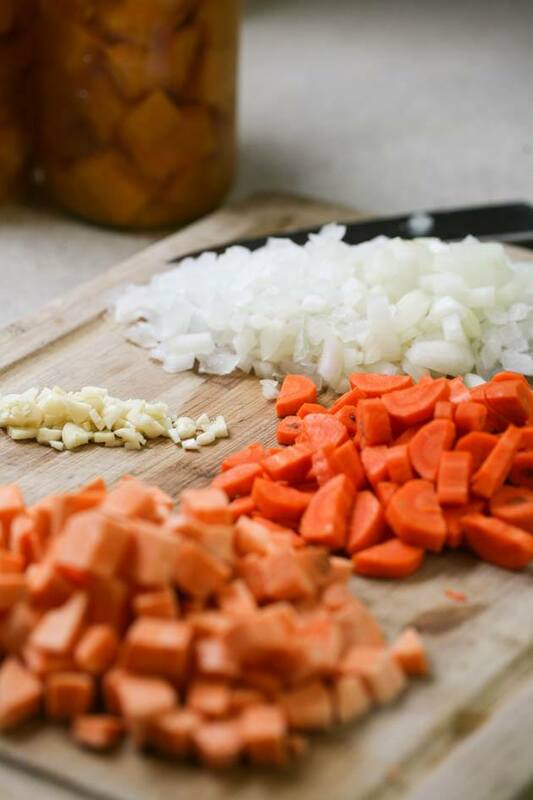 Once I had everything ready; the onion, the garlic, the carrots, the pumpkin, and the sweet potato… It’s time to cook this soup! Once the butter melted I added the onion. I stirred it frequently. 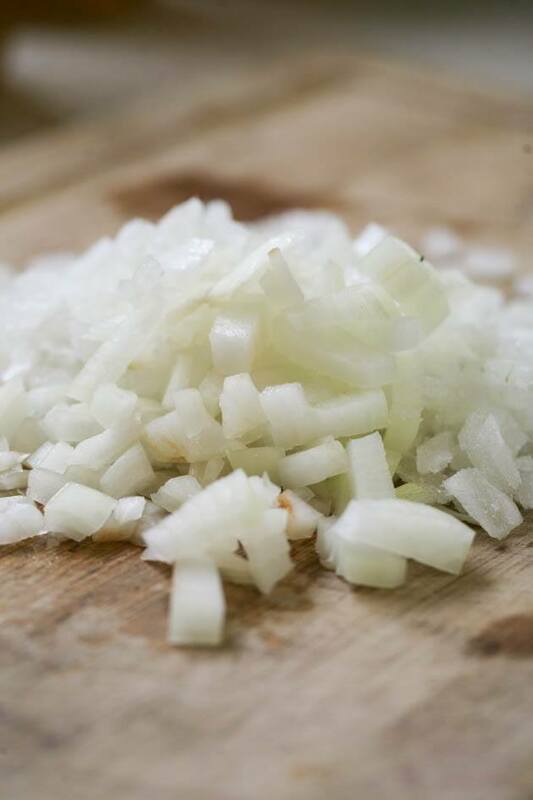 Want the onion to cook for a few minutes until it’s translucent, just before it starts to brown… Maybe 7-10 minutes or so while stirring frequently. Next I added the garlic. 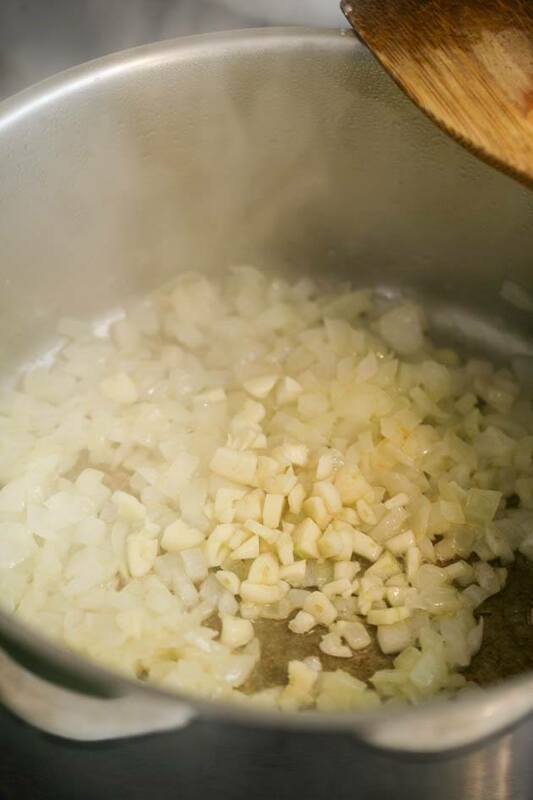 I cooked this for a few minutes also stirring frequently until I could smell the wonderful aroma of the garlic. Next, I added the carrots and sweet potato. If you are using fresh pumpkin, add it now as well. Stir. And added the pumpkin to the pot. Once I had everything in there I covered the pot, brought it to a boil and then lowered the heat to keep a gentle, rolling boil. 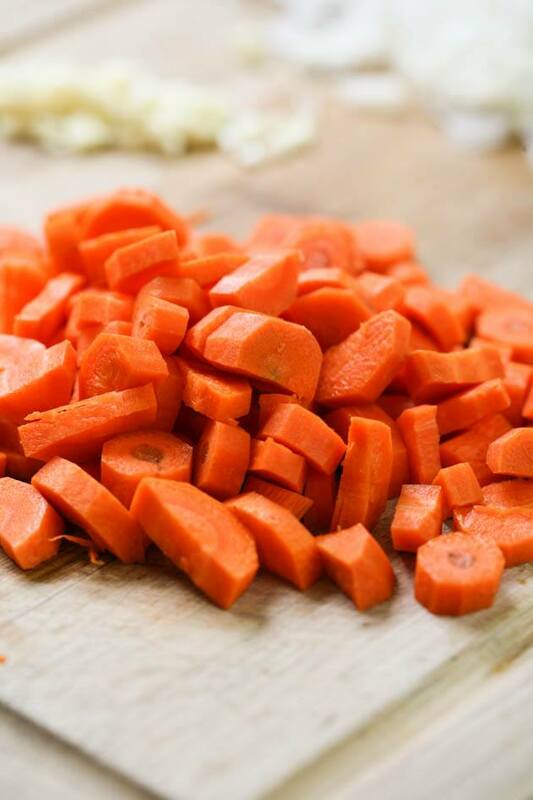 I cooked this for about 30 minutes until the carrots and sweet potato softened. Until it’s creamy and uniform. Now all that is left to do is add salt and black pepper to taste, let it cook for a few more minutes and it’s dinner time! I had some old bread on hand so I also made simple croutons. I diced the bread and placed it on a baking sheet then covered it lightly with olive oil, garlic powder, salt, and pepper and baked it in a preheated oven (350F) for 15 minutes or so. 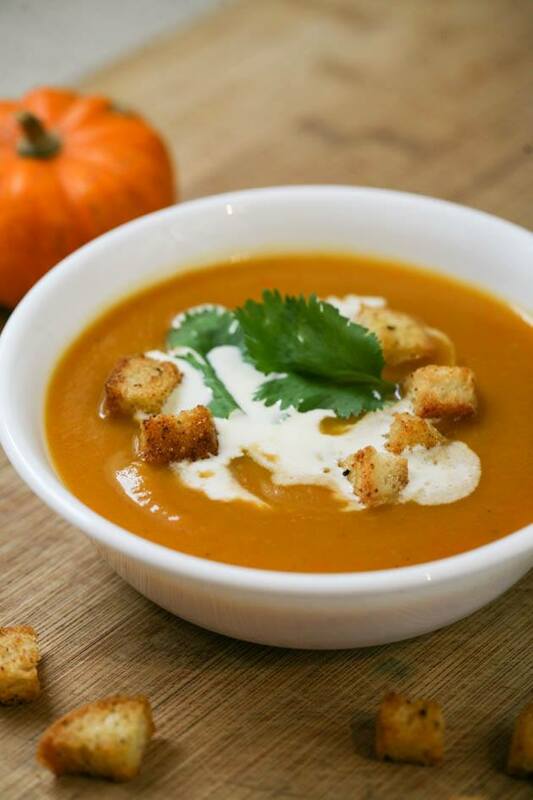 It’s pumpkin soup so of course, you have to add some cream too! And I’ll usually add some parsley on top but I didn’t have any so I used cilantro instead which I had and it worked just as well as parsley. This was a very filling dinner! As you can see from the pictures the pot was full to the top! My kids don’t eat much and since this soup is so filling I couldn’t eat more than a bowl. 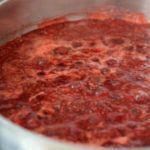 I saved it in the fridge for the next day and after that I still had enough to fill 3 quart-jars and freeze. 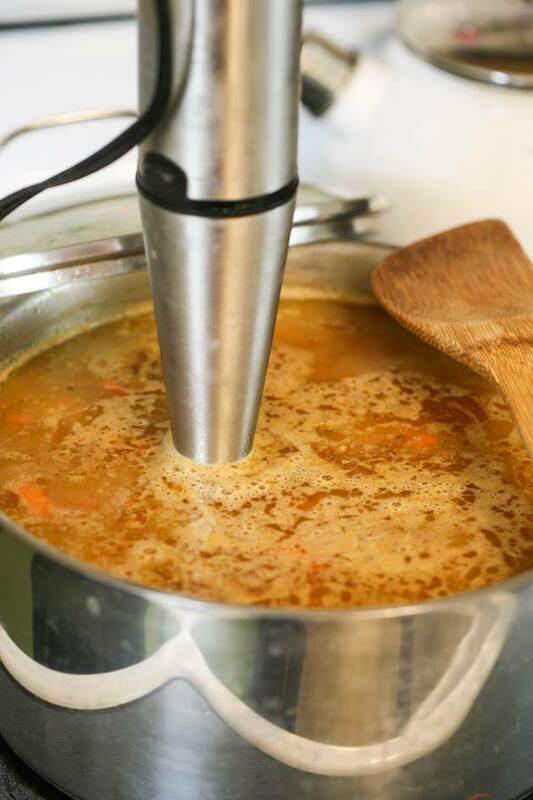 I love making a large batch of soup and just freezing it. If I happen to run out of time to make dinner or lunch I just take one of the jars out of the freezer and place it in a bowl of hot water. It defrosts quickly and dinner is pretty much ready! 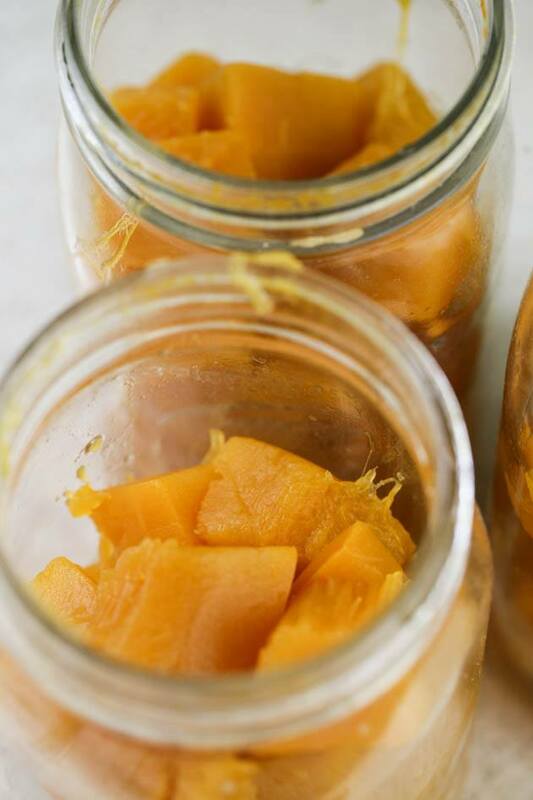 8 cups cubed pumpkin (canned or fresh). Crotons, parsley or cilantro, and cream. 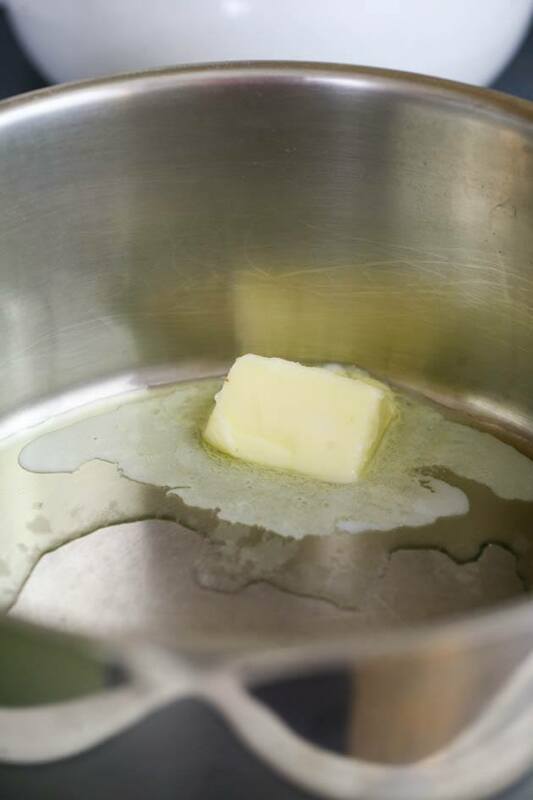 Melt the butter in a large pot. 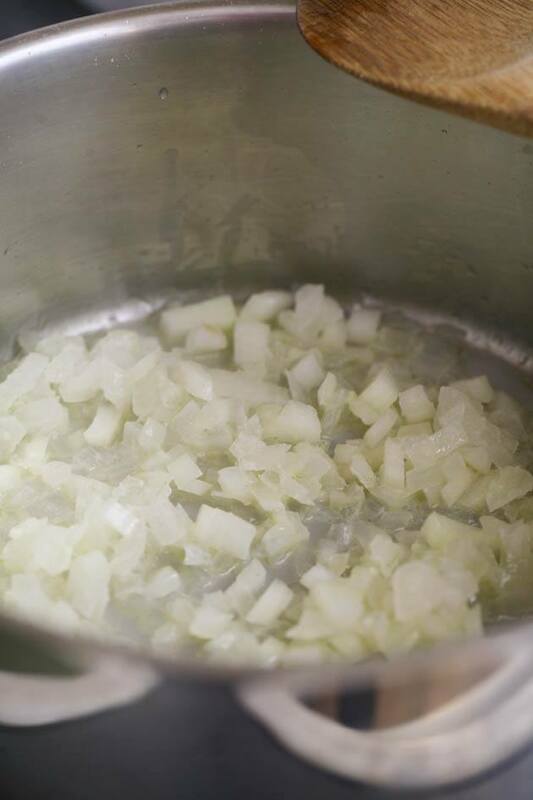 Add the onion and cook until translucent (7-10 minutes) while stirring frequently. 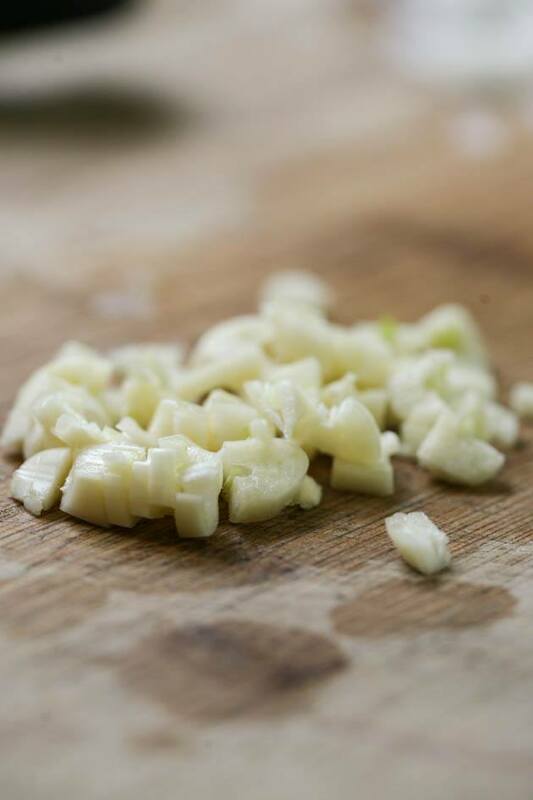 Add the garlic, stir and cook for a few minutes until fragrant. 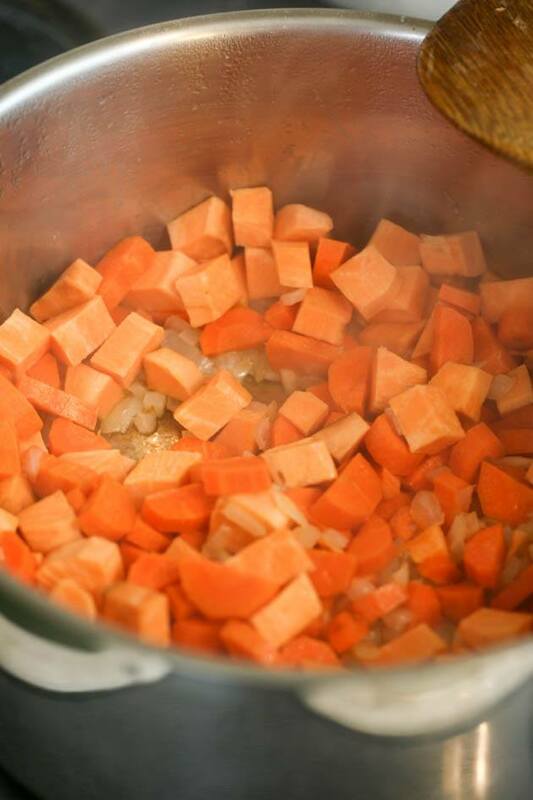 Add all the vegetables, stir. Add the chicken broth, stir. Cover the pot, bring to a boil then lower the heat to keep a gentle, rolling boil. Cook for 30 minutes or until the vegetables are soft. Use a stick blender to mash everything together until creamy. 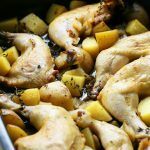 Serve with garlic crotons, parsley or cilantro sprinkled on top and a little bit of cream mixed in.